“For me, the real veil is drawn over the divide between men and women and between women and women and between people and society,” says Sabyn on the idea of the hijab in the modern world. Written over a span of more than ten years and set across Pakistan and the UK, Hijabistan shatters the stereotype of the meek, submissive woman in the hijab, and explores the multitude of experiences and identities that make up a modern Muslim woman’s life. In an interview, Sabyn Javeri speaks about what she aims to bring out through Hijabistan, her views on the #MeToo movement, and what we can expect from her next. Having lived in the UK for 18 years, you still very much identify yourself as someone from Karachi and Pakistan. Is there a feeling of dissociation while writing stories set in other places/countries? I do! As they say, you can take the girl out of Karachi but not the Karachista out of her! Even within Pakistan, there are many divides and I identify (myself) as an urbanite, which makes it is easy for me to fit into London - a metropolitan city just as crazy as Karachi, albeit more organised and clean. But Karachi with all its kachra and chaos is my city and to not write about it would be like to disown a part of me. Strangely, I feel the same about London. Karachi is my roots and London, my wings. One gives me a sense of feeling rooted while the other helps me fly. It’s a case of write what you know when it comes to settings for me. Hijabistan has been described as an exploration into the relationship between attire and identity. Do you agree with this? How would you say the two are interconnected? I think that’s a pretty good way to describe it. For me, the book is not just about a veil, but the suggestion of veiling something deeper. It is the idea of what is hidden or veiled that this collection is about. It is the idea of a voyeuristic society that is watching from behind the curtain. When I first started writing these stories, they were about strong heroic women who wore the hijab but I soon realised that was not the story I wanted to tell here. I was more interested in the stories they were hiding, the ones they didn’t want anyone to find out. And there were so many of them. So many layers to what was covered by a simple physical garment. And it was this metaphorical hijab that I wanted to explore. Many readers on social media are agitated that this has not turned out to be a collection of strong empowered women who are changing the world in a hijab. It is that. But it also something more. There are stories here that are inspiring and uplifting but there are also others which are darker and somewhat sinister. There are stories which discuss sexuality, promiscuity and the idea of piety not being defined by appearance. They challenge one’s internalised patriarchy, they make you question your own prejudice. They call out the fact that we put women on a spectrum of good girl and bad girl, with no room for in-between. The darker stories crush that notion. You have, in one of your tweets, pointed out that the hijab in the novel is more of a metaphorical interpretation of the various veils in our society, than the actual garment. Isn’t the hijab itself a veil drawn over a woman’s freedom? I think the real hijab is that of patriarchy. Whether overt or internalised, it’s the patriarchy and misogyny in our society that is the real oppressor of women’s freedom. As the protagonist in one of the stories, The Good Wife, says, to cover herself is just as much a woman’s right as it is to bare herself. I suppose it is a matter of perspective. For me, the real veil is drawn over the divide between men and women and between women and women and between people and society. As Simone de Beauvoir said, “a woman is made, not born.” Until we accept that women too are individuals and cannot be simplified into a singular entity by their attire, religion or gender, we will continue to curb their freedom. The cover of Hijabistan with the illustration of a rad-looking woman donning a hijab, rainbow-coloured sunglasses, bright pink lipstick and a septum piercing is especially noticeable. She is also holding an ice-cream with the word ‘Femnst’ on it. What was the idea behind this cover? I really wanted to show a gutsy, go-getter side to the modern Muslim woman who is usually stereotyped as an OTT bechari, an oppressed victim, meek and submissive. So I reached out to the brilliant Pakistani artiste Samya Arif whose work I really admire and she very generously let me use the image. The ‘Femnst’ was a fun slogan we added to hit home the irony of a woman in a glitzy veil that draws more attention than if she had been without it - contradicting the very purpose of hijab. In previous interviews, you have mentioned that Ismat Chughtai inspired you to become a writer. Does this reflect in Hijabistan, considering Chughtai herself wrote extensively about female sexuality and the taboo around it? Absolutely. I still cannot get over the fact that she was writing about female sexuality and child abuse back in the early 1900s, whereas we still struggle today with topics of female love and sexuality. I have tried very much to take up her mantle to lay bare all those things we draw a 'quilt' or curtain over. Women fighting against misogynistic power structures - be it political, professional or personal - seem to form the crux of many of your stories. Do you think the #MeToo movement and its impact have empowered women in this struggle? Speaking out is the first step, even if you are not being heard, yet. I think it’s good that we are teaching women to find their voice. There was a very important #MeToo story in Hijabistan that got dropped last minute due to time and space constraints, which I feel would be very relevant in today’s world. Hopefully, it should be in my next collection. As a professor, do you encourage your students to break free of societal norms and fight against set traditions as you do with your writing? Or do you prefer to let them explore and form opinions of their own? I’m a professor, not an activist and I constantly remind myself that. It’s my job to create awareness, to start a conversation but I must be very conscious not to make up the minds of my students for them. I think these days there is a lot of confusion around this as many people don't know when they have stepped out of their roles as writers and journalists who raise consciousness about issues through their storytelling into activists and moralists who are telling others what to think, what to do, what to say. In that sense, I don’t think there is any difference between them and self-righteous extremists who are convinced that there is no other point of view but theirs. After Nobody Killed Her and Hijabistan, what can readers expect from you next? Any projects that you are currently working on? Yes, I’m currently working on a project that is also female-centric. I won’t say too much as it’s in very early stages but you can expect another dhamakadar narrative that shatters the standards society has set for women. 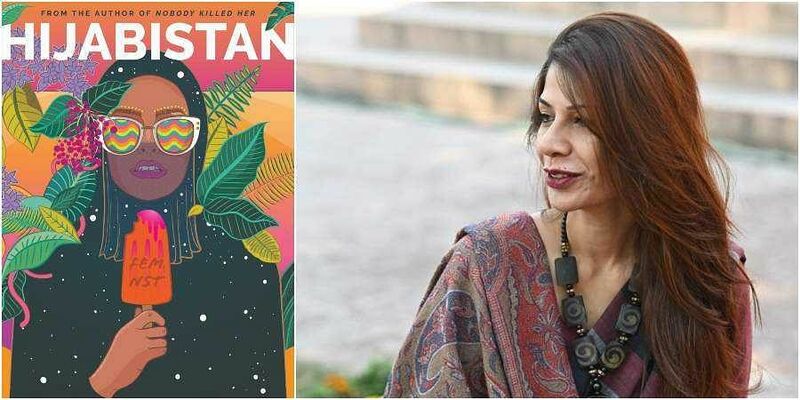 My friends and colleagues often ask me why I can't be like other Pakistani writers and write about something safe like ‘terrorism’ and I tell them the real terrorism is the treatment of women in our part of the world. I take great pleasure in breaking stereotypes and I hope my next book continues to do that.